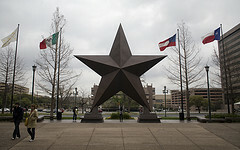 Austin is not only an awesome vacation spot, but it's the state capital of Texas. The great thing about this city is that although it's a state capital city, there is nothing boring or staid about it. It's said to be the live band capital of the world, and it's the official slogan for Austin is "Keep Austin Weird". It's not that Austin is all that weird at all. But this city is very liberal, artistic, and full of activity. The only thing that is weird about Austin is the amount of events and activities that take place to service a population of less than a million people. There are literally more things to do than there are people in the city to participate in the activities! 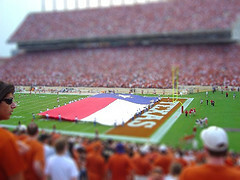 If you are a fan of football, there is the award winning University of Texas football team. If you visit Austin in the fall or winter, you will certainly want to buy a ticket. But be warned that these games sell out, and the traffic after the games is brutal. The great news is that the stadium is right in the heart of the downtown area. You could take a shuttle or public transportation right to hotels, bars, and restaurants located on Austin's infamous 6th street strip. Speaking of the bars and restaurants, there is something for everyone. But the thing that reminds tourist that Austin is very Texan, are the barbecue restaurants, such as Stubbs. There is too much to mention, and one could do a Google search to find many blogs and webpages about Austin, since Austin in the past 13 years has become a major technology city as well.